Design Your own card - Your card, your image, your way! So many memories, so many goof-ups, which one to pick? Millions of friends and zillions of moments, which one to choose? Those awesome parties or the amazing night-outs and of course the selfies! The surprises or the shocks, the school or the college, the suit or the boot… life's full of expressions. 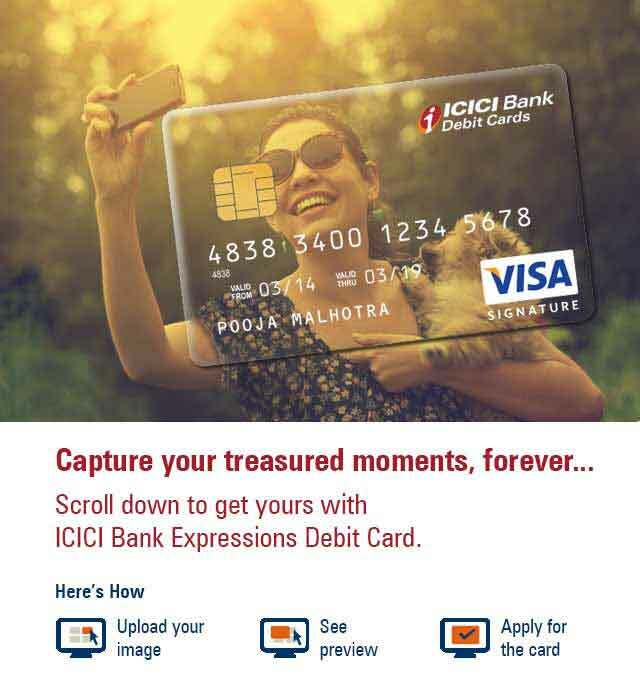 Now stamp your favorite moment on your Expressions Debit Card and relive those timeless moments every time you flash it. I agree to the deduction of one time joining fees of Rs. 499/- (Plus Service Tax) and an annual fee of Rs.499/- (Plus Service Tax) from second year onwards, from my account on successful submission and approval of this request.